Audrey Hepburn, an actress and humanitarian who spent much of her life helping underprivileged children across the globe once stated that, “Water is life…”. Now a widely accepted truth, Ms. Hepburn’s quote has become cliché to the average American who consumes 80-100 gallons of clean water each day. Of course, “clean” is presumed in the U.S, making the remainder of Ms. Hepburn’s quote – “… and clean water means health,” a statement that is often overlooked by those of us who have easy access to clean water every day. In Uganda, however, 33% of all children do not have access to clean, safe drinking water and 60% of all children live a minimum of 30 minutes walking distance from a water source which may or may not be clean. Furthermore, girls are more likely to be responsible for collecting water, keeping them from school more frequently. The lack of safe drinking water across Uganda contributes to the illness and death of countless children each year with diarrhea alone killing 33 children every day. Early childhood diarrhea is not only deadly, it also contributes to Uganda’s high level of stunted growth, which in turn affects children’s cognitive development and performance at school. (Source: UNICEF, Situation Analysis of Children in Uganda, 2015). The children attending Rock of Ages School (ROA) are at the heart of these statistics making the provision of clean, safe drinking water a priority for the students and a challenge for the school. Though many children bring their own water to school, the source from which the water comes is often already contaminated. The student’s water may have come from rain runoff or from nearby streams or ponds or it may have been shared with animals such as local goats and cows. Regardless of where the students collect their water, it is rarely, if ever, adequately filtered. Furthermore, even if clean water is accessible, it is often brought to school in a tin or bottle that may be contaminated due to poor sanitary conditions in the student’s home. At the beginning of 2015 Hands4Uganda (H4U) attempted to help ROA tackle the water issue by providing three TivaWater filters. 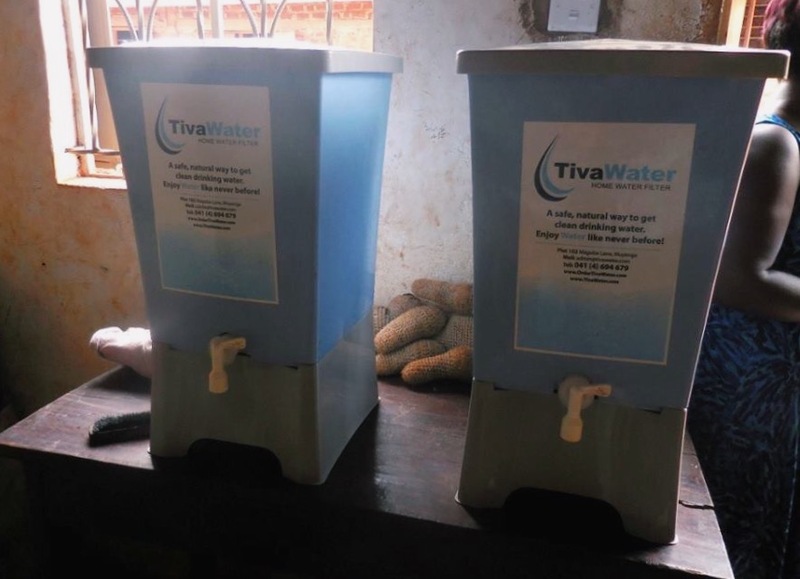 Two of the three Tiva water filters. One TivaWater filter provided enough clean water for 10 people per filter cycle. The filtering cycle took approximately one hour to properly sterilize the water and each filter was filled three times throughout the day resulting in enough clean water for approximately 90 individuals per day. With over 300 students plus staff in need of water each day, ROA simply could not provide enough clean water to ensure proper hydration of the students and staff with the three TivaWater filters alone. As a result, water continued to be taken directly from the tap or purchased from neighboring shops of which the source was often unknown, therefore leading to continued contamination and illness. 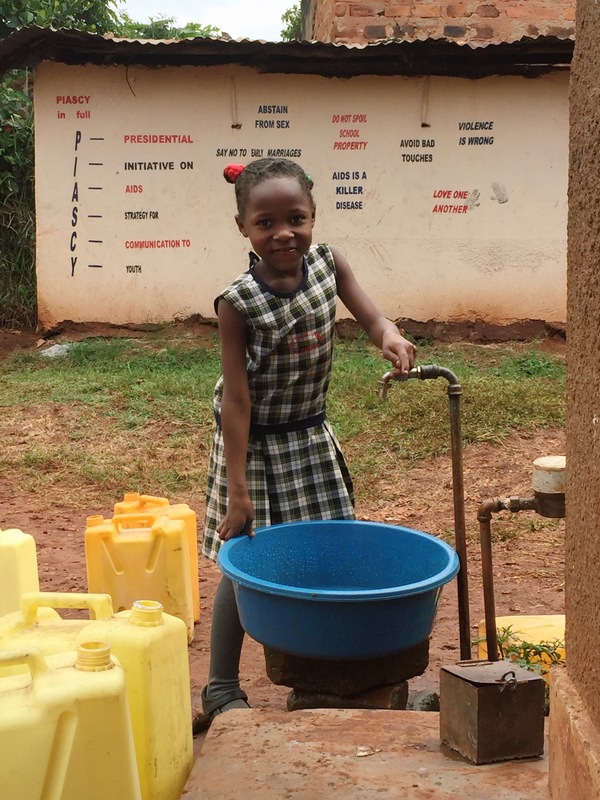 A student collects water at the ROA tap before lunch for her classmates to wash their hands. By the end of 2015, through the generous contribution of a Hands4Uganda donor, ROA was able secure a three-level water filtration system that holds 450 liters of water – the Impact Water system! This high-performance, water purification system fills automatically which is a bonus, however, the system fills from collected rainwater. During the raining seasons of April to May and October through December, the students and staff of ROA are able to enjoying clean, filtered water ensuring proper hydration, better school performance, and less illnesses. The dry season, on the other hand continues to provide a challenge. With the construction of the new school facility beginning in the very near future, H4U has determined that the best option for being able to provide clean, filtered water to the students and staff of the school on a continual basis, without the fear of lack of water during the dry season is to provide the school with its own well! We are extremely happy to announce that Sundance Consulting from Pocatello, ID has provided a very generous donation that will allow us to complete the well by the end of the month. Sundance also provided the funding that allowed H4U to build restrooms for the new school which are already complete. 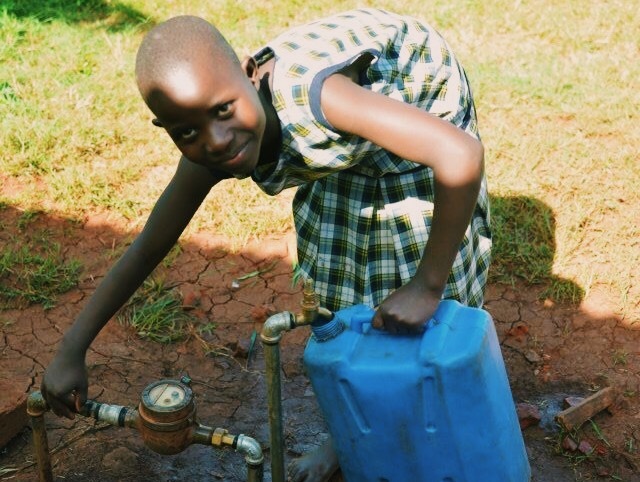 The well will provide clean water for not just the students and staff, but for their families as well! Our students will be able to attend school more regularly rather than needing to fetch water; we can continue to curb their hunger by growing and watering our own fruits and vegetables; and fewer illnesses will occur from water related diseases!